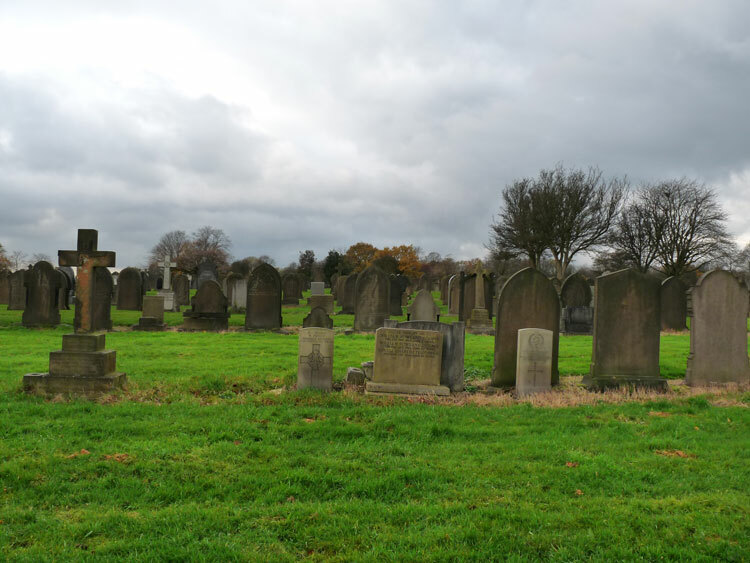 Bolton (Heaton) Cemetery contains 214 burials from both World Wars, - 135 from the First World War and 79 from the Second World War. We are very grateful to Mike Berrell for the photographs of the headstone and the part of the Bolton (Heaton) Cemetery in which this soldier is interred. 5th Battalion the Yorkshire Regiment. Son of Mrs. Ellen Schofield, of 9, Ryley St., Deane Rd., Bolton. Died at home 26 January 1917. Aged 34. 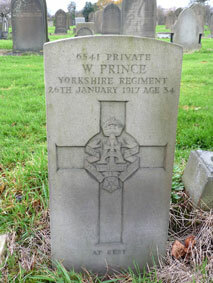 Private Prince's Headstone (left of centre) in Bolton (Heaton) Cemetery.